If you experience constant or intermittent ringing in your ears, you may have tinnitus. This sensation may vary in severity or intensity from one individual to another. 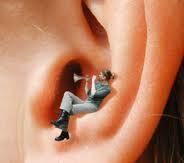 Tinnitus is a subjective or objective symptom or sign of an underlying disease. This may be caused by damages to the hearing nerve, loss of hearing, very loud noise exposure, medications (quinine, anti-inflammatory drugs, antibiotics, aspirin—in long term), problems with the temporomandibular joint, stiffened middle ear bones, ruptured eardrum, ear wax accumulation, ear infection, allergies, certain foods, and stress. This entry was posted in Tinnitus and tagged natural remedies for tinnitus, natural tinnitus treatments on October 19, 2011 by Mian Ong.